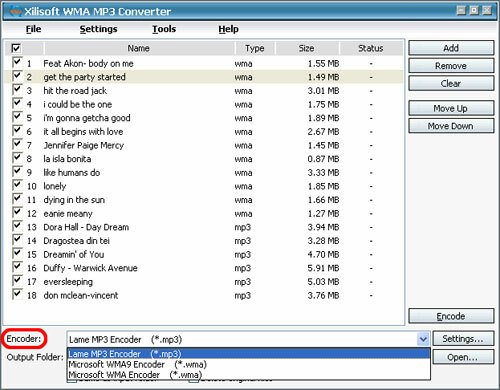 Xilisoft WMA MP3 Converter supports WAV, MP3, WMA, OGG, AAC, FLAC, APE, VQF etc. as the input formats and converts them to the most popular audio formats MP3 and WMA. Xilisoft WMA MP3 Converter supports copy ID3 tag between formats, so that you can easily transfer all of the most useful tag fields from one format to another. 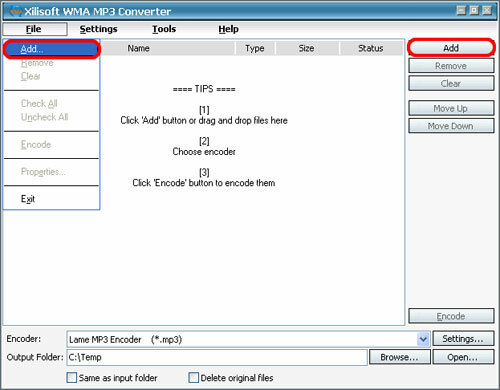 MP3 to WMA and WMA to MP3 conversion process is fast and simple, the output quality is also adjustable. 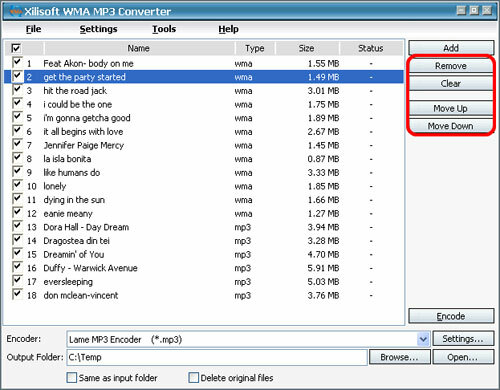 First, download, install and run Xilisoft WMA MP3 Converter. 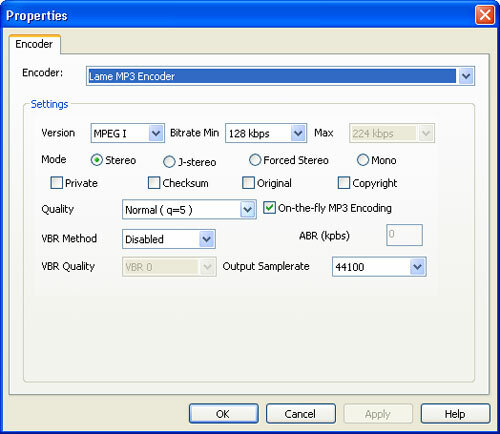 You can adjust some special setting for your conversion by clicking "Settings" behind the "Encoder" combo-box, such as "Bitrate" and "Samplerate".